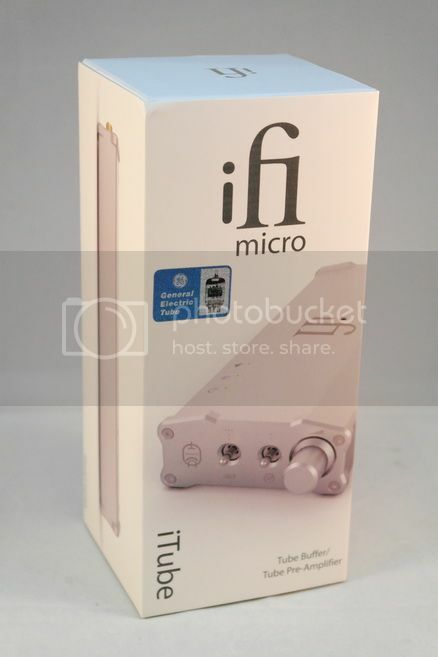 iTube is the latest addition to iFi Audio ‘Micro’ line of audio gears. On one hand, it inhere the same minimalistic concept as the other Micro gears; on the other hand, it is a departure from the previous all-solid-state design. 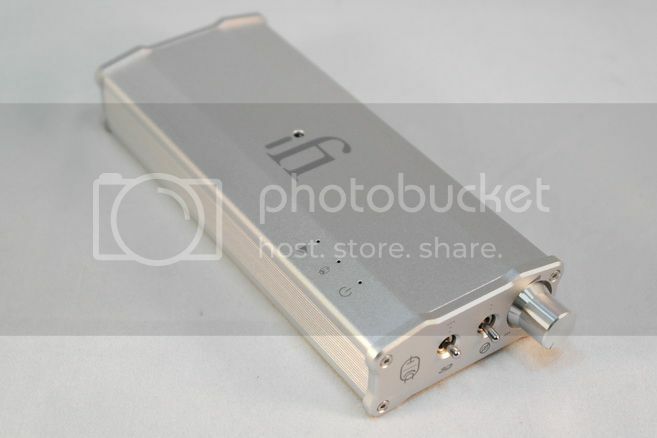 If anything, it is the first in Micro gears that will appeal more toward speaker user rather than headphone user. So what exactly does an iTube do? 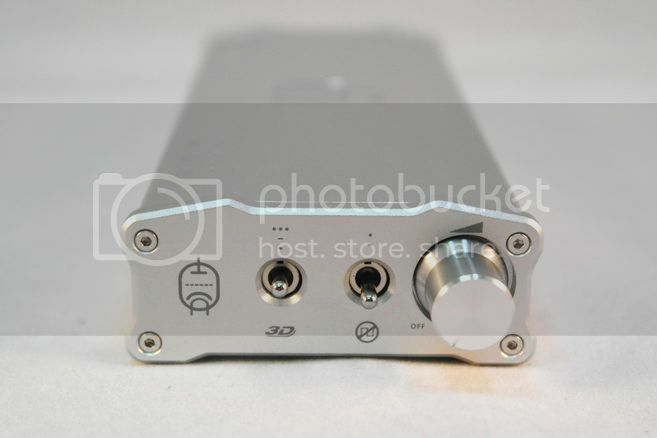 In essence, it is a tube buffer / pre-amp, with some extra features threw in. 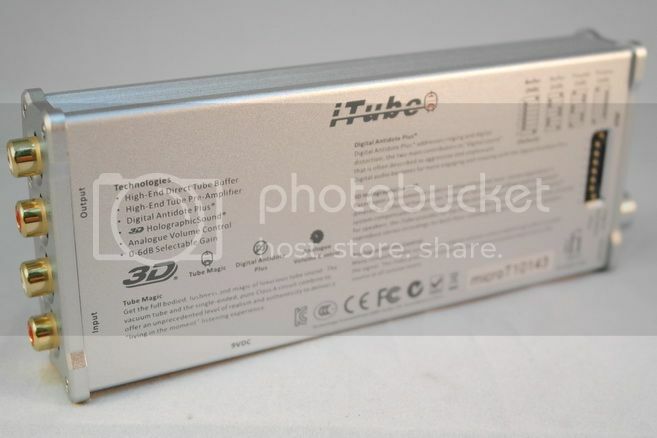 Like the other Micro gears, iTube comes in a similar white hard paper box. Inside, you will find the iTube of course, as well as the ULN (Ultra-Low-Noise) power adapter, a right angle adapter cable for power, stick-on rubber feet and RCA cable.There is also a screw driver that I am not exactly sure what it is for - probably for flipping those really tiny switches underneath the housing. Build quality is as expected, excellent. Despite the use of a vacuum tube, iTube still uses the same long housing as the rest of the Micro series. Since the back plate has been occupied by the input and output RCA socket, the power-in needs to relocated to the side (which is why a right angle adapter is included in case you find it awkward with the ULN adapter plugged straight in. Inside the heart of iTube is a NOS (New-Old-Stock) GE 5670 vacuum tube that does all the ‘tube magic’. 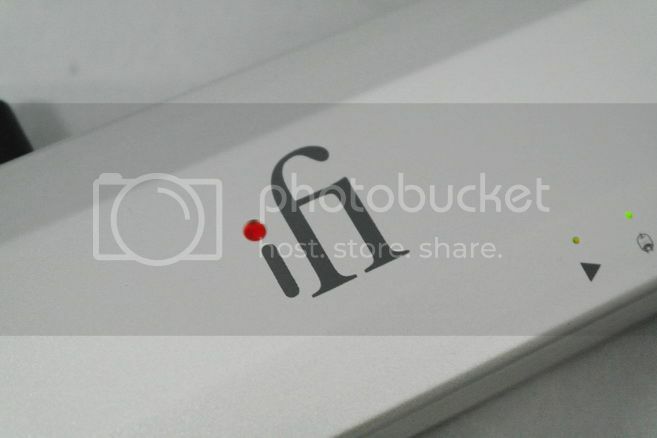 The dot of iFi logo on the case is hallowed out so you can take peek inside as it will light up in operation (not by the tube though, but by a LED). Given it is tube running on Class A configuration, iTube does warm up after a while but not enough to burn skin. As with any tube gears, you also need to give the tube a few minutes to warm up so it will function properly, or else there might be a slight distortion. The GE 5670 is socketed so you can do some tube rolling if you want to, but the stock NOS tube behaves very well inside iTube that I think tube rolling might not be necessary at all. In any case, it also means that tube replacement shouldn’t be much of a problem down the line. You do however need some hex tool to open up the case. Though the power going in on the side isn’t as neat a look as previous Micro gears, I am glad for the part that all the connections are at least on the back portion of the device. As noted in the previous review, the housing is very solid but a bit too lengthy in design. Might be nicer to have a squarer housing but I guess iFi is trying to keep look for the whole line-up. Not that I am complaining, but perhaps a different housing for the future Micro gears V2 series? Like the newer iCAN, there is a user selectable gain switch on the belly of the housing. However, the switch also enable / disable the volume pot on the iTube, allowing it to run either as a Class A tube buffer or a pre-amp. In both modes, you can also choose either zero or +6dB gain, depends on how strong your source’s signal is. 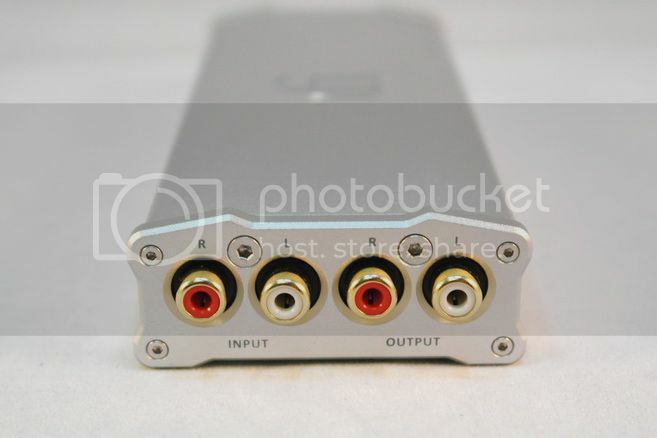 Of course, you will have to take into account whether the output will clip the input of the next device (which will be an amp or an amp section on an active speaker). My suggestion is, if your source has a 2V line level signal or something near it, keeps it at zero gain. If your source has a weak signal (i.e. 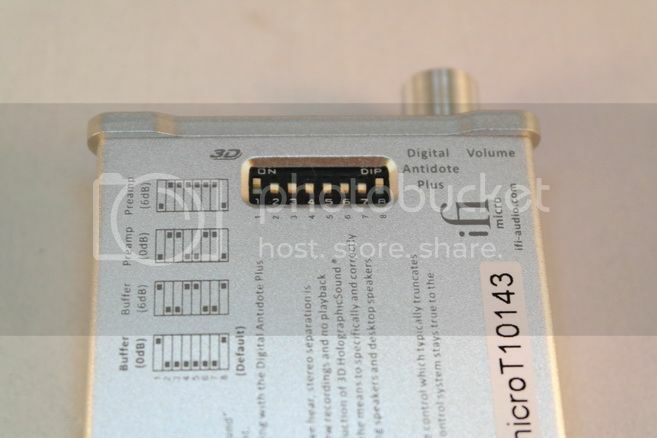 older iPods only have only a 0.55V line-out), gives it the +6dB gain. As for whether to use it as a pure buffer or pre-amp will depend on the gears you are connecting the iTube to. 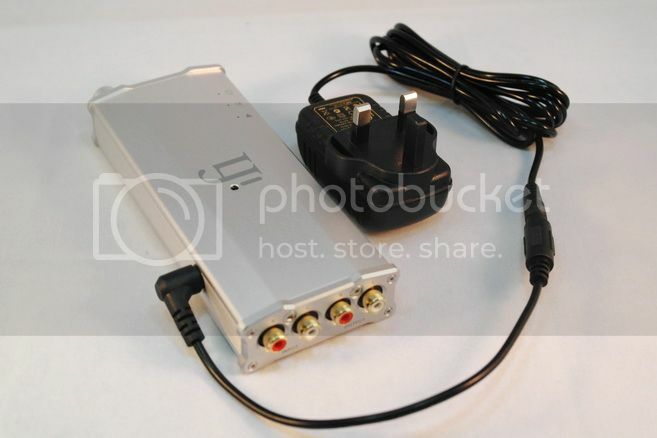 If it is feeding to a power amp that has no volume control of its own, then obviously you should use iTube in pre-amp mode to control the volume. If however the iTube is feeding into an active speaker that has its own volume control, then iTube should be configured as buffer. Note that the volume pot also doubles as the on/off switch, so you still need to turn it on even in the buffer mode, though volume will not be changed at all. As with all tube gears however, you should try to avoid rapid or frequent on/off action as much as possible in order to prolong the tube operational lifespan. If you are only going away for a short while, instead of turning it off, it might be better just to leave it on. Tube is always associated with noise and harmonic – in a way iTube is about those as well, but more on the harmonic and less on the noise. 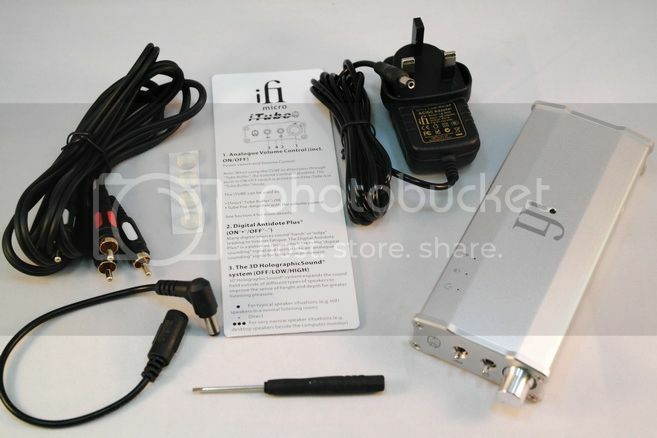 For measurement, I set the iTube up in a full iFi chain – staring with iUSB Power, which connected to the iDAC via the Gemini dual head USB cable. The line-out of the iDAC is fed into the iTube as a buffer, then to the iCAN with a 23.5 ohm dummy load. RMAA measurement is done with both the iTube in chain and without it for the comparison. Surprisingly, the impact of iTube, at least on graph, seems to be fairly minimum. Yes, it is noisier with the iTube, but we are talking about 0.001% of difference in THD and 0.004% in IMD+Noise, plus less than 2dBA in overall noise level. The numbers are small enough that I have to wonder how valid they will be in actual listening. As far as the frequency response goes, iTube is as flat as it can be, at least when the Digital Antidote Plus is not engaged (*but we will leave that discussion to the next section). The actually listening experience with iTube however is a much less subtle business. Beside the setup mentioned above (plus a pair of Sony MDR-1R and a few IEM), most of my audition of the iTube is done in buffer mode with a pair of Creative GigaWorks T40 Series II 2.0 desktop speaker with an additional Creative sub-woofer. The first thing to pick up with the iTube, and particularly noticeable with headphones, is the distinctive ‘tube’ sound. So what is this tube sound? Well, it is a general richness that isn’t there before, like switching from a standard definition to a high definition signal on TV. It is the same image, but there is more information that fills up the space. At first, the effect is not that apparent. But once I switched back from iTube+iCAN to iCAN only, and just like going from HD to SD signal, everything sounds duller and harsher, even though I have been enjoying iCAN by itself for months now. I guess this is what iFi has referred as the ‘voodoo’ of the tube sound - the kind of euphonism that is just hard to get rid of once you are hooked. This is probably what makes tube gear user return to tube time and time again. There are two additional features that are packed into the iTube – the 3D HolographicSound (3DHS) System and Digital Antidote Plus – well, calling the Digital Antidote Plus an EQ might not be the most accurate, but just bear with me here. Don’t confuse the 3DHS on the iCAN to iTube. Yes, both have the same name and supposed to enhance soundstage, but that’s just about where the similarities end. The 3DHS on the iCAN is tuned with headphone in mind, but the one on iTube is all about speaker. The ‘small’ setting is meant for floor speakers or monitors that are already placed far apart and the goal is to put out a better perceived separation on the lower frequency region. The ‘wide’ setting however is meant for desktop monitor (such as PC speaker) and is aimed to project a bigger overall image than the speaker usually can. You can of course choose whichever setting that fits your own speaker configuration and taste, but I do find the wide setting does show significant improvement over my T40 S-II (which is a desktop speaker). In a way it does a similar function as the software based virtual surround sound effect built into the Windows OS, but much better in result. While Windows (and a good number of software movie players) tends to try to create a more hollowed out image between the left and right speakers to create the illusion of space, the 3DHS ‘Wide’ on iTube is more about pushing out an image larger than the speaker’s physical placement, as if they are actually further apart. This works out better for music listening as the mid-range still retains its texture and intensity as opposite to a hollowed out sound. As with the 3DHS on iCAN, I am quite amazed by iFi ability to fine tune the analog circuit and be better than software solution. But the one thing to note is that this 3DHS is for speaker only. Trying to use it with headphone will mostly mess up the image instead of improving it (same can probably be said on iCAN’s 3DHS negative effect on speaker). Digital Antidote Plus on the other hand is lesser of an EQ and more of a phase correction technique for digital source. The original idea of a ‘digital antidote’ comes from and patented by Anthony Taddeo of Taddeo Speakers in the early 90s to address the digititis of then popularized CD system. In simple terms, it involves splitting the analog signal from a digital source into two, delays one of them with a few milliseconds then recombines it back to the original signal in order to correct whatever phase error introduced in the digital stage and to recreate a ‘more analog like’ music reproduction. It had caused quite a stir in the audiophile’s community when it was first introduced, both positively and negatively, where some swear by it while other found the effect to be subtle at best. With the passing of Mr. Taddeo about 10 years ago and his company dissolved subsequently, the original Digital Antidote and the V2 hardware are no longer available. The Digital Antidote Plus (DAP) in the iTube is however a new take on the original concept and according to iFi, updated to be compatible to the latest and upcoming HD format of music. So history asides, does the DAP work as advertised? Well, the first thing I did is to get some measurement off. RMAA is really not great on measuring beyond the basic stuff and certain not for phase - but one thing to look for is the treble roll-off that inheres from the original Digital Antidote circuit. 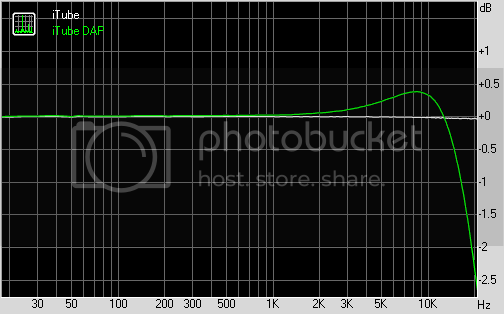 As you can see from the graph, the area around 8kHz is actually bumped up by 0.4dB, then it drops off to -1dB around 15kHz before ending up at -2.5dB @ 20kHz. Given human is only sensitive to about 1dB of SPL change, the actual effect will be more noticeable above 15kHz. But since most human, especially adult, have likely lost a significant amount of hearing on the high treble region, the actual impact on listening should be relatively small. In real listening, my 30+ years-old ears really didn’t detect any major loss of treble from album to album. One thing I do pick up, and in a very obvious fashion, is the increase of texture and detail in the mid to bass range. This is most noticeable when I was listening to Piano Guys’ first and second album, where the decay and body of the piano and cello becoming unusually clear and their timbre becoming almost too good. To use the TV analogy again, it will be the equivalent of switching from HD to a 4K signal - Okay, perhaps this all seems to be too much of a hype. But it really isn’t about how SD to HD, or how HD to 4K that matters. It is about the increase of overall information from one to the other. With the iTube alone, it is like filling the background with all the missing notes. With the DAP engaged, it is like those notes are brought to the foreground. Is that how ‘analog sound’ should be, or is it a better approximation of live music that is somehow lost in the recording process in the digital era? I truly have no answer. But I can say I don’t dislike it. It is something that I can leave it on all the time and don’t feel like it has degraded the sound in any way. In fact, I think the result is really a plus to the overall music listening experience – regardless of whether it is an EQ, a phase correction or just another technological voodoo. One last thing to note is that I can pick up the difference on DAP easier on the headphones than on the speaker. Then again, my headphones are generally better sounding and more revealing than my speaker. Your mileage however might differ. I have a very small computer desk that also doubles as my working and listening area, and it is constantly full of all kind of gears and never enough in space. Early last week after receiving the iTube, I had the whole iFi chain setup on the desk for the iTube review and thought that I would have to disassemble them quickly in the next few days in order to reclaim the space back. The whole setup, as I am about to finish writing this review, is still sitting on the desk after almost 2 weeks. It could very well be staying there for a while longer, given how much music I have been enjoying recently over my Creative speaker - and to think that I am predominately an on-the-go IEM user. I guess this really sum up the iTube magic thingy. Sometime it is the seamlessly little stuffs that add up to make the whole experience worthwhile. 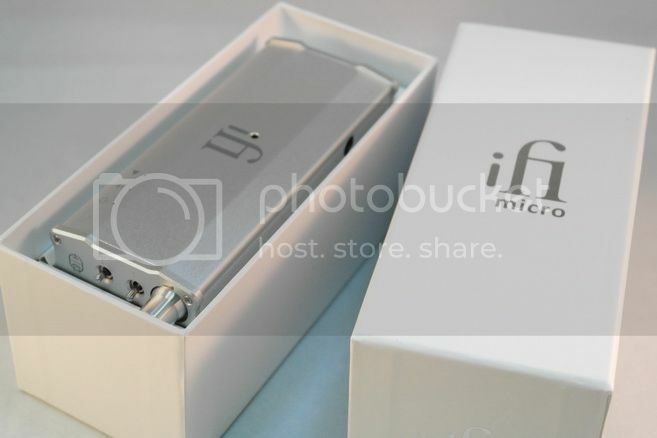 A thank to iFi Audio for the review sample.